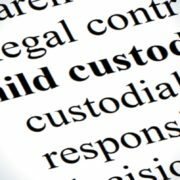 Custody: What Does The Law Consider? Florida Statute § 61.13 lists the factors that the law will consider when developing a child custody, also known as time-sharing, schedule. One major factor is whether you will encourage a close and continuing relationship between the children and the other parent. The law considers your histories and personalities. Section 61.13 examines whether you will be reasonable when changes are required. The law also considers your ability to keep each other informed regarding important matters regarding the children. Florida law frowns upon parents who disparage the other in front of the children or bring the children into their disputes. Section 61.13 also discusses parental responsibilities and whether third parties will have decision-making authority. For example, if you work eighty hours a week, it may not be realistic for you to have custody the majority of the time. Another consideration is whether you will be able to participate in the children’s school and extracurricular activities. Another factor is whether you have demonstrated the capacity and disposition to determine, consider, and act upon the needs of the children as opposed to your own needs or desires. It is important to maintain stability as much as possible for the children. Accordingly, the law considers the length of time the children have lived in a stable, satisfactory environment. Often times, if a temporary schedule is going well, the law suggests that it may be best to keep that custody schedule in place, especially if the child is tied to that home, school, and community. https://familydiplomacy.com/wp-content/uploads/2016/12/Family-Diplomacy-Logo.jpg 0 0 Adam https://familydiplomacy.com/wp-content/uploads/2016/12/Family-Diplomacy-Logo.jpg Adam2017-12-26 07:50:382018-03-28 13:44:15Custody: What Does The Law Consider? Has your spouse petitioned for divorce and is now keeping your children from you? If so, you are likely wondering when you will get to see your children. There are several scenarios that could affect when you will be able to see your children. If your spouse simply refuses to allow you to see your children, and there is not yet a court order in place governing when each parent has time with the children, you may have to wait a few months before you see them. Of course, you have just as much right to your children as your spouse. But if your spouse is refusing you access, it likely isn’t in your children’s best interests to force the issue and cause an altercation. Depending on your situation, you may need to move for an emergency hearing to have the judge decide temporary timesharing as expeditiously as possible. Even in situations where a parent is denying the other parent access, a judge may require that parties mediate before allowing a temporary relief hearing to be set. https://familydiplomacy.com/wp-content/uploads/2017/12/child-custody.jpg 806 1200 Adam https://familydiplomacy.com/wp-content/uploads/2016/12/Family-Diplomacy-Logo.jpg Adam2017-12-20 07:20:522017-12-23 10:02:39When Will I Get to See My Children? Will I Get Custody of My Kids? Every parent going through a divorce fears that they will not receive sufficient time or custody with their children. For parents who are used to seeing their children whenever they please, the thought of a third party ordering a schedule by which they have to abide can be nerve-wracking. If you decide to litigate your divorce in court, you will leave your destiny to a judge who only receives a snapshot glance at your life and parenting abilities. Outside factors will impact your case like the attorneys’ trial abilities, the mood and beliefs of the judge who is assigned to your case, the opinion of the experts which may be determined by which party is paying him, and how the parties and witnesses present themselves in court. So how do you ensure a positive result in your case? Keep the decision in your own hands. 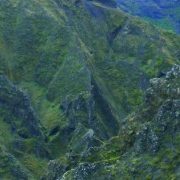 Divorces do not have to occur in court, and actually, most do not. There are several courtless divorce options that are available that leave these important decisions to you and your spouse. https://familydiplomacy.com/wp-content/uploads/2017/12/children-washing-dog-outside-725x483.jpg 483 725 Adam https://familydiplomacy.com/wp-content/uploads/2016/12/Family-Diplomacy-Logo.jpg Adam2017-12-15 07:41:522017-12-15 07:43:24Will I Get Custody of My Kids? The Walking Dead: Who Is Judith’s Legal Father? AMC’s The Walking Dead recently premiered its season 8 debut. For the uninitiated, The Walking Dead follows former deputy sheriff Rick Grimes and others as they navigate a post-apocalyptic world of zombies (which they call “walkers”). Even more interesting than interactions with the walkers, the show focuses in on the interaction between people. Rick and the gang have fought off a host of bad guys. A one-eyed psychotic governor. Bar-B-Que loving cannibals. Most recently, a baseball bat-wielding sadist with a sophomoric sense of humor. But the most fascinating part of the show may just be its human drama surrounding relationships between Rick and his family. Last season, Rick made a startling admission to Michone. Michone is a samurai sword brandishing badass and Rick’s current love interest. The admission concerned Rick’s daughter, Judith. When the apocalypse started, Rick had been separated from his wife, Lori. Lori escaped the initial chaos with Rick’s best friend, Shane. 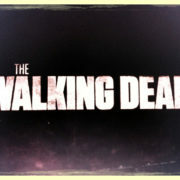 Shane and Lori thought Rick had died with the initial wave of walkers, and Shane and Lori became romantically involved. Lori and Shane’s relationship ended when they learned Rick was still alive. Inevitably, tensions rose between Shane and Rick, which lead to Rick killing Shane. Eventually, Lori gave birth to a child, Judith, though Lori did not survive the birth. Which brings us back to Rick’s admission to Michone. Rick tells Michone he knows that Shane is Judith’s biological father. So who is Judith’s legal father? https://familydiplomacy.com/wp-content/uploads/2017/10/Walking-Dead.jpg 765 1024 Adam https://familydiplomacy.com/wp-content/uploads/2016/12/Family-Diplomacy-Logo.jpg Adam2017-10-30 08:15:302017-10-29 11:06:31The Walking Dead: Who Is Judith's Legal Father? When determining which attorney to hire for your divorce, you may be tempted to believe that your best option is to hire an overly-aggressive lawyer. But is that truly going to benefit you and your family? Do you want to make your spouse “the enemy” and make your children collateral damage? Well, there is another option. Instead, you can hire a family-focused divorce lawyer. 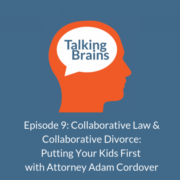 In the video below, Minnesota collaborative attorney Ron Ousky, former president of the International Academy of Collaborative Professionals, discusses, among other things, why you should consider hiring a family-focused divorce lawyer. In my Tampa office, parents come to me all of the time and say they want “sole custody.” Maybe they are having an argument with the other parent. Maybe they just don’t get along. So parents figure that the solution is to be the only one to have decision making authority over their child. In the video below, social worker Gary Direnfeld challenges the assumptions behind requests for sole custody. https://familydiplomacy.com/wp-content/uploads/2017/01/Gary-Direnfeld-1.jpg 180 960 Adam https://familydiplomacy.com/wp-content/uploads/2016/12/Family-Diplomacy-Logo.jpg Adam2017-01-23 07:44:002017-07-12 13:11:16Video: Do You Really Need "Sole Custody?"